Alfa Romeo Giulia Quadrifoglio Review 2019 | What Car? Few car manufacturers possess a name and performance motif as evocative as Alfa Romeo’s four-leaf clover. It’s affixed to only the firm’s most potent models, but in recent years they have nearly all been a disappointment. 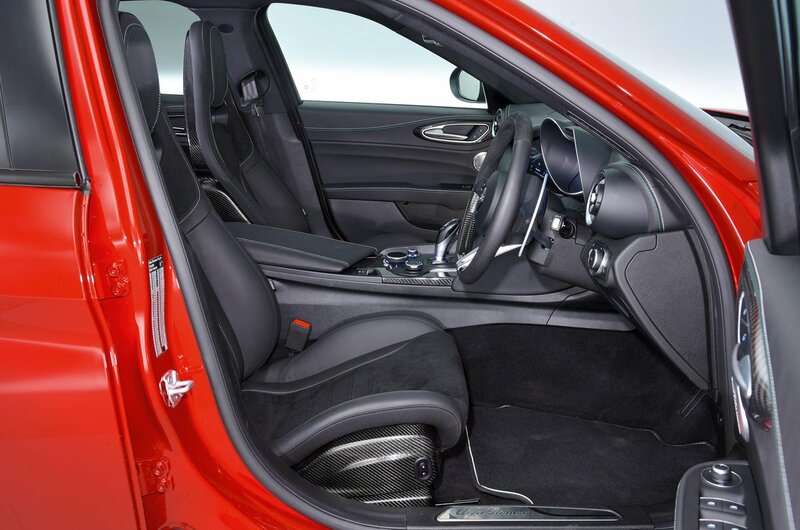 Step forward the Giulia Quadrifoglio (Quadrifoglio being the Italian for four-leaf clover, in case you were wondering) – this car, based on the impressive Giulia executive saloon, promises far more. All the right ingredients appear to be there: it’s built on the same lightweight, rear-wheel-drive underpinnings as the Giulia, but the Quadrifoglio version comes fitted with a staggeringly powerful 503bhp turbocharged 2.9-litre V6 petrol engine. That means it’s good for 0-62mph in just 3.9sec and a downright crazy top speed of 191mph. To put all that power to good use, it gets bespoke suspension and quicker steering, while larger brakes are standard to make sure it stops as well as it goes. However, it faces stiff competition from some extremely well rounded and established performance cars, including the Mercedes-Benz C63 and Audi RS5. 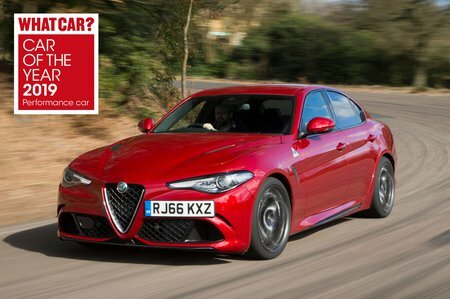 Does the Giulia possess the performance and handling to take them on and beat them? Read on to find out. Either way, whichever performance car you settle on, you can buy it direct with the best price and least hassle through our new car deals page.